Our Charities– Grand Lodge of Pennsylvania, I.O.O.F. 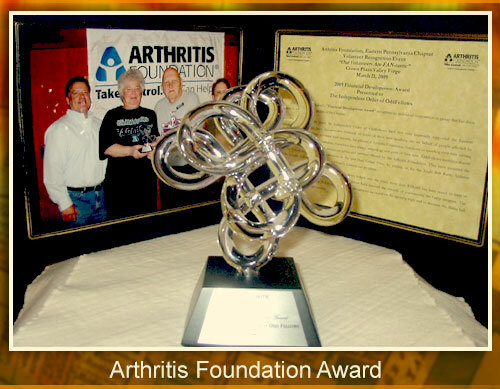 Odd Fellows and Rebekahs have adopted the Arthritis Foundation as an annual project and contribute more than $100,000 each year to the National Arthritis Foundation. 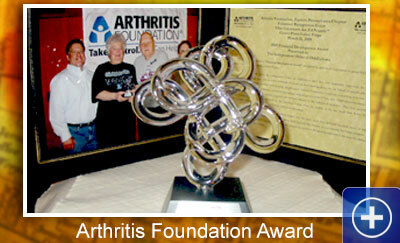 Those with arthritis need our help and remember - 100% of your donations sent through the PA IOOF Arthritis Committee go to the three PA Arthritis Foundation Chapters to help the kids with arthritis that go to Camp JRA each summer or the adults with arthritis who participate in the programs offered by the PA Arthritis Chapters. We need your help. What can YOU do to help us reach that ambitious goal? We need your help. Please DIG DEEP into your pockets and give today. Be sure to tell us if you want your contribution designated to help with Camp JRA or the general fund. Volunteers are needed by the Chapters for their local activities. Can your Lodge help? Call the Chapter office in your area to see what you can do. For many with juvenile arthritis, a week at summer camp with other kids who have juvenile arthritis can change their life. The Arthritis Foundation’s JA camps give kids with arthritis and related conditions the chance to make lasting memories. For many campers, it’s the first time they’ve met other kids who live with the same challenges and limitations. Campers at Camp JRA have a variety of rheumatic diseases, including juvenile rheumatoid arthritis, lupus, lyme disease, fibromyalgia, and myositis.